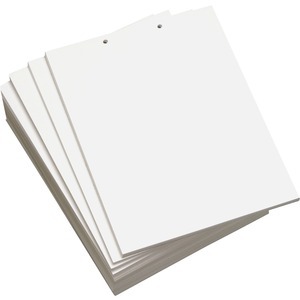 Punched paper is ideal for healthcare forms, medical charts, invoices, statements, remittance coupons and more. Compatibility includes with high-speed copiers, laser and inkjet printers and offset presses. Letter-size sheets are laser cut with premade, five hole punches in the top.